You are here: Home › Garden design › Happy New Year, happy new garden? • Comments Off on Happy New Year, happy new garden? You do not have to move house or undertake a complete makeover to feel that you have a new garden in time for the summer. 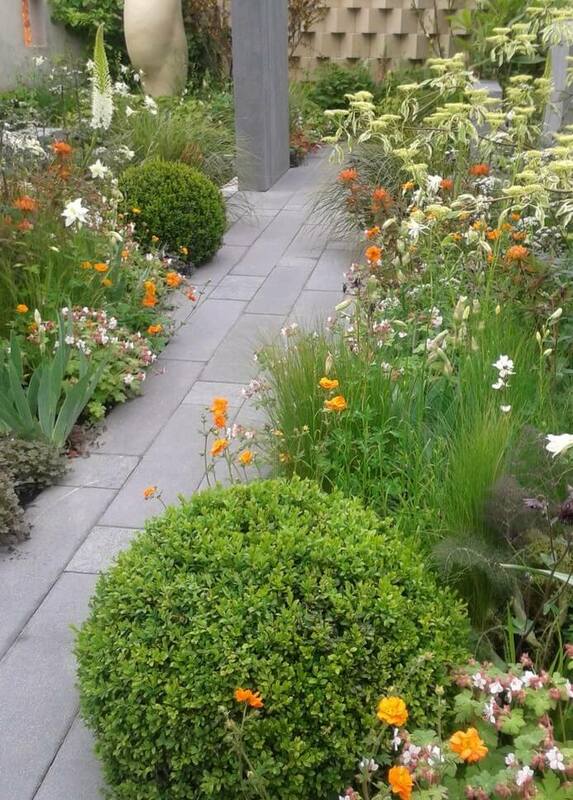 Changing a planting style or colour scheme can radically alter the appearance of a garden. Fairly minor changes to the layout of paths and borders can dramatically improve the usability of a garden. And whether your garden is new, different or long established as we enter 2015, make this the year that you make the most of your outdoor space. As with any project or journey, you must have a clear sense of what you are aiming at. This is what makes all those choices simple and successful and will ultimately result in a great garden, however small. The key word here is “look”, better still “look & feel”. Everyone wants their garden to be practical, (fairly) low-maintenance and attractive all year round; the choice you need to make is whether your ideal garden looks Exotic, Calming, Formal, Colourful, Luxurious, Naturalistic, Meditative, Abstract, Exciting, Restful or whatever word you want. Write down your word because it makes the choice of shape, colour and texture for features and plants very much easier and ensures that they work together. For example, straight lines are formal, circles are restful, big, glossy leaves are luxuriant, orange and yellow are exciting colours etc. Knowing what you are aiming at is the first and key step to a happy new garden in 2015.